When April arrives, Hwagae region looks as if it is carpeted in snow. 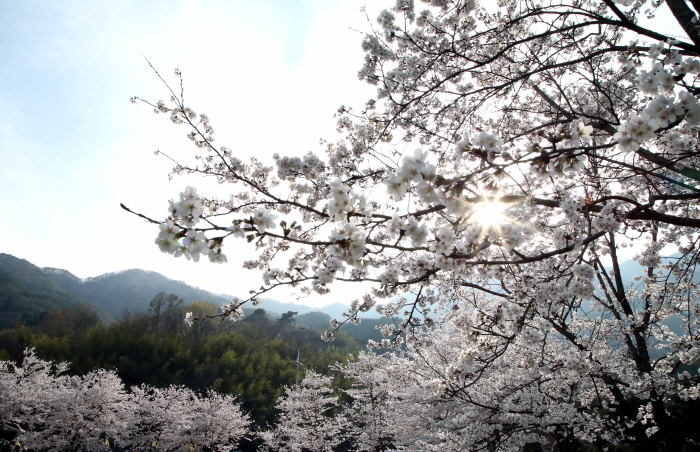 In fact, it is the region's beautiful white cherry blossoms that transform the landscape into a soft, downy wonderland. 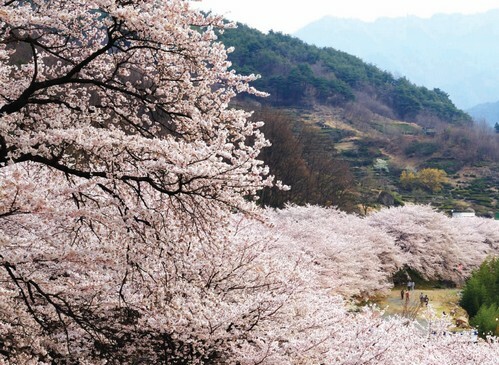 One of the most popular attractions of the festival is the Simri (10-ri) Cherry Blossom Road. It is also known as the "marriage road," as legend says if lovers walk down this road while holding hands, they will get married and live happily forever. Apart from the stunning beauty of the cherry blossoms, there is a series of exciting seasonal programs and cultural events for visitors to enjoy. Opening ceremony, fireworks show, talent contest, etc. From Seoul Nambu Bus Terminal, take an intercity bus bound for Hadong. - Get off at Hwagae Terminal. - From Hwagae Terminal, cross Hwagaegyo Bridge. - Go straight 100m to arrive at Hwagae Market on the right.